Garrett's Ministry Blog: June Update! Another month has passed and it's time for me to update you on what's been going on in the ministry! It's been so cool to see how God has worked over the passed 4 to 5 weeks, but I want to start on a personal note. It's become apparent to me that telling people around me stories of how I see God working in my life and in the lives of those around me has actually become something of a burden to me. I say that to my own shame. 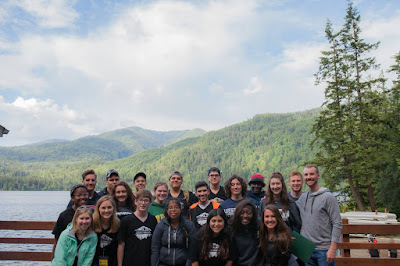 I think I have become so used to seeing God work in amazing ways in my own life and in the lives of the students I spend time with that I have treated it all as commonplace, not worth sharing the details of, and I couldn't be more wrong. Remembering God and the way that he works in our lives is quintessential to being a follower of Christ. Forgetting God and going our own way has been the main issue God's people have struggled with since the beginning. I don't want to forget God. I want to love telling the stories of how I've seen him working, and I want it to be all for his glory. I'd encourage you to reflect on whether you see the many good ways God is working in your own life and in the lives of those around you and don't cease to tell the stories you witness. With that being said, let me tell you a few stories! The most impacting thing that happens every may is Student Institute of Campus Ministry (SICM). SICM is a student leader training that we brought over 110 students to!!! They learn how to serve their peers, lead small groups, have one on ones, and minister to our communities. It's an intense crash course. 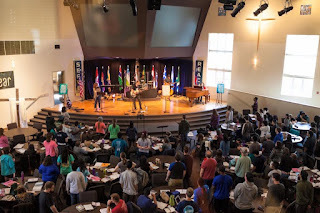 A Christian organization at Western Washington University, CCF, put on the whole training, as they have for us for the last 14 years, and we learned a ton from them. Our students were able to spend extended times of worship together every day, they were in courses all day long, and then got to go back home and developed relationships with their host families. It was an incredible blessing to get to see our students grow, be challenged, and have fun together. 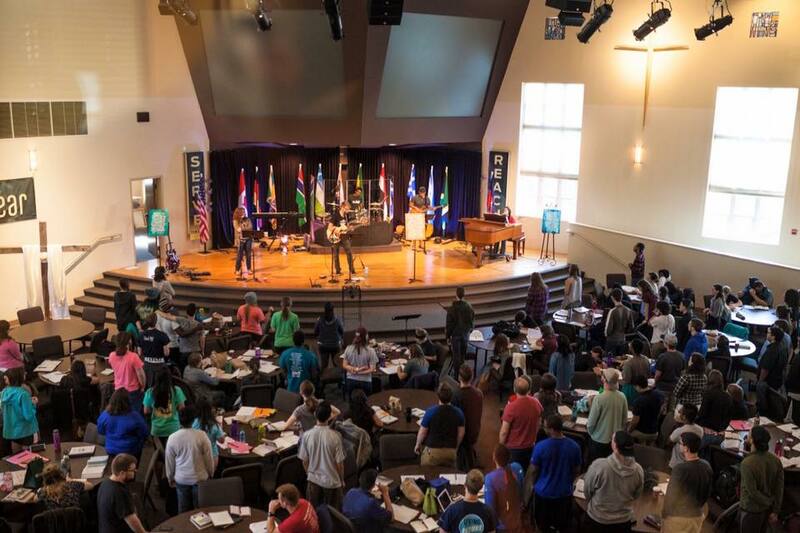 Please be praying that the knowledge they gained at SICM will move them to action on campus this school year. Another story, perhaps a subset to the story of SICM, is the Collin College leader team (both Spring Creek and Preston Ridge ministries). I didn't know many of the student leaders we invited this year at a personal level. But I was able to get to know them more at SICM. I'm excited when I think about the possibilities of these students. Many are very young and have no training (except SICM! ), but have hearts for God and are ready to serve our community. I don't know which of these students will lead next year but I do know they will be used by God regardless. I'm looking forward to getting to know them more, work with them, and train them how to be missionaries on campus to their peers. Please be praying that God would give us wisdom and discernment as we choose student leaders for the upcoming school year. Finally, I want to ask that you be in prayer about the apprentices that are coming on staff to learn how to be campus pastors this next year. As I mentioned in my previous blog post, I'm the only senior staff person to stay at our two Collin College campuses. I have 3 apprentices starting in August and I'm very excited about their role at Collin next year. Friends, please be praying for them and for me to have wisdom in where to place them as they join the Collin team. Thank you so much for your support, your prayers, and your gifts that allow me to continue to do God's work on the campus.